A project by Jackie Arnett RD, Esq. PATIENTS: Nutrify thanks you for supporting our mission to improve the diets and wellness of patients all over the world. We will thank you on our social media channels for all of your help! PATIENTS: Nutrify will send a 10 Health Recipe cookbook created by our team of in-house Registered Dietitians and thank you on Social Media! PATIENTS: All of the above AND Nutrify will provide access to the final version of the application, in July 2015 after pilot site use and feedback! You'll be the first on our lists to let you know when it is live! DOCTORS: All of the above and get the Nutrify polo shirt to show everyone you are part of the solution! DOCTORS: Become a Pilot site! Plus all of the above and get the Nutrify polo shirt to show everyone you are part of the solution! HOSPITALS: Show the world you care about this problem and want it solved. In return we will do our best to solve it and know we are doing it for you. Here and on our website, in perpetuity, we will list you and your practice as INSTITUTIONAL SPONSORS with our sincere thanks. Plus 10 free Polo shirts! HOSPITALS: All of the above and get 25 Scrubs or polo shirts to show everyone you are part of the solution as well as a complimentary 1 hour group cooking class on healthy eating by one of Nutrify’s in house dietitians. GOLD PARTNER: A Pilot study to be carried out at your hospital or institution! Hands on help from the Nutrify team along the way! PLATINUM PARTNER: Naming Rights to Nutrify at your hospital and Free Access to the software for your team! Thanks to the support of NYCBIO, all donations to this project are Tax Deductible. To learn more about NYCBIO, please visit NYCBio.org. Patients still leave the hospital with old, generic, paper diet guidelines — from the 1980s! Co-founder and Registered Dietitian Jackie Arnett saw patients walk away from the hospital still not knowing what to eat for their unique clinical status. She was concerned that because people who needed to change their diet the most to better their health status, whether it was patients with hypertension or heart failure, were not provided a tool that could properly educate and positively impact the patient’s life to eat healthier. Further, according to the Centers of Disease Control, 80% of patients do not even look at those paper guidelines. With today’s technology and opportunity for scalability, Nutrify has partnered with the Academy of Nutrition & Dietetics to change the way diet patient education is done. 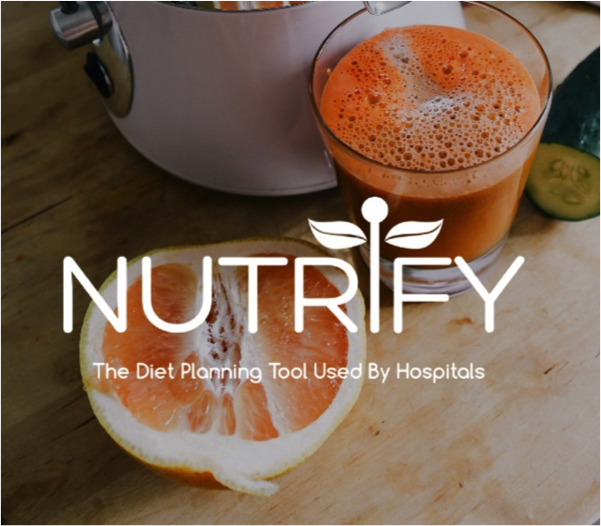 Nutrify provides patients post discharge with a diet planning portal customized to their unique nutritional and clinical needs. It is the first enterprise only solution partnering with the Academy of Nutrition & Dietetics to change how diet patient education is done. 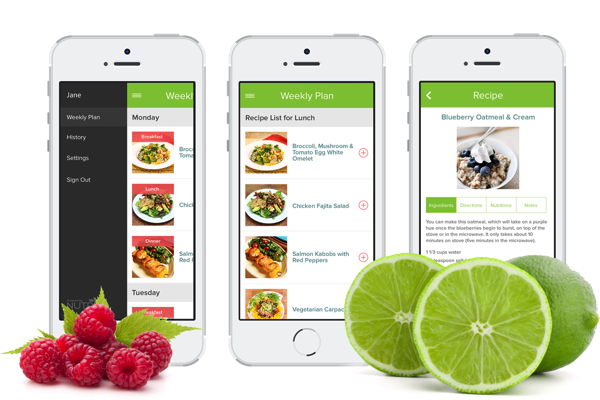 Nutrify gives the patient a tailored meal plan with custom recipes, take out suggestions with geo-location, grocery options with a scan of a bar code as well as diet tracking. Nutrify’s precise algorithms factor in all clinical condition such as hypertension and heart failure as well as the patient’s food/drug interactions, allergies, weight management goals and even a patient’s budget for food and cultural food preferences. Jackie Arnett Elnahar RD, Esq. is a Registered Dietitian and Healthcare Attorney. She has worked as a Registered Dietitian at Montifore Medical Center in NY and has done corporate wellness for Bloomberg. She is passionate about using technology to change how diet patient education is done. James Schuler is the main technology lead supervising a team of developers. James is a prestigious Peter Thiel 20 Under 20 Scholar. 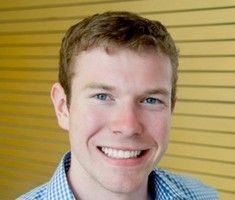 He has also co-founded a healthcare company Eligible prior to Nutrify. James worked for Dr. Chrono and played a role in building the first EMR. A health enthusiast himself, James is an accomplished pole vaulter and trialthon participant. Dr. Yaser Elnahar is a Board Certified Cardiologist, Dr. Elnahar has written many published studies on cardiac disease and its progression. 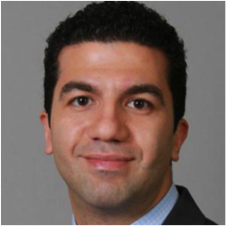 Dr. Elnahar believes and focuses greatly on cardiac preventative care for his patients.